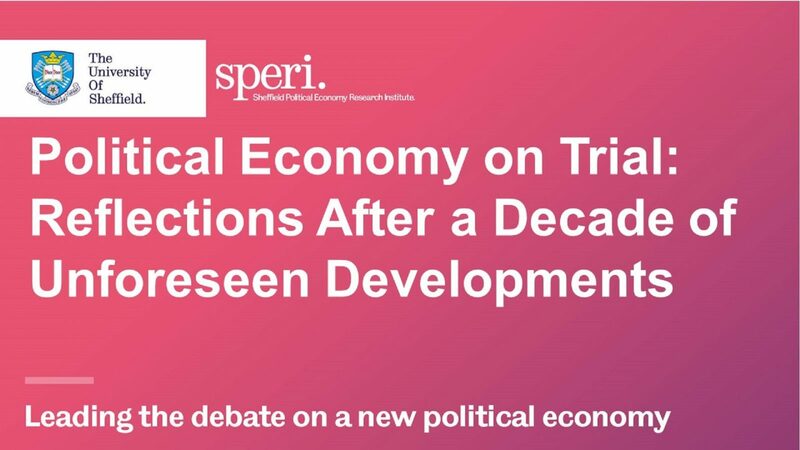 Over the next two days, in collaboration with the editorial boards of the leading journals, Review of International Political Economy (RIPE) and New Political Economy (NPE), SPERI will host a prestigious two-day academic workshop, Political Economy on Trial: Reflections After a Decade of Unforeseen Developments. This landmark ‘state of the field’ workshop at Sheffield Town Hall is an opportunity for political economy as a field to reflect on its own blind spots. Contributions from the workshop will be captured and shared in two simultaneously published special issues of RIPE and NPE. 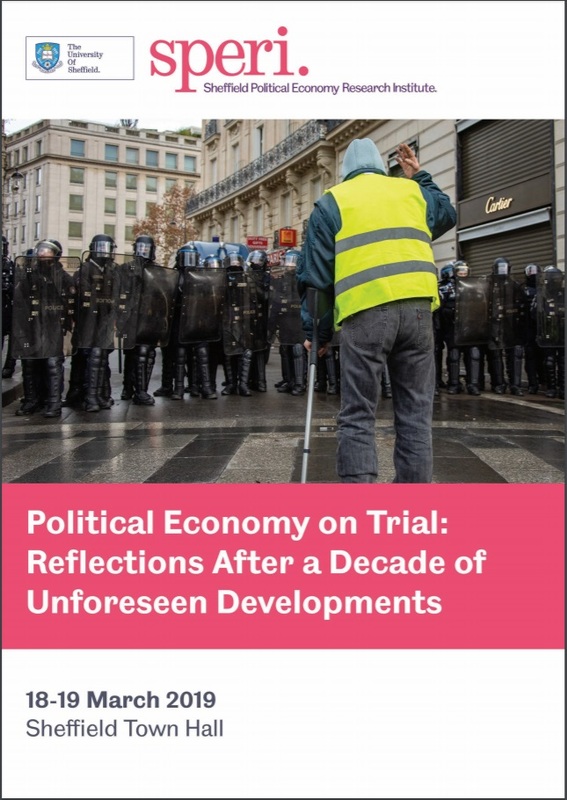 A decade after the global financial crisis, we are grappling with a world of xenophobia and authoritarianism, ideological polarization, sharp concentrations of corporate power, wealth and ownership, and increasingly pronounced struggles over gender and racial inequality. Many of these trends were not predicted and remain poorly integrated into political economy analysis. The workshop will provide an opportunity to think collaboratively and collectively about our current times, and how political economy scholarship needs to change to better understand and explain them. The workshop has been organised by Professor Jacqueline Best (Co-Editor, Review of International Political Economy & Professor, University of Ottawa), Professor Colin Hay (Editor-in-Chief, New Political Economy & Co-Director, SPERI), Professor Genevieve LeBaron (Co-Editor, Review of International Political Economy & Co-Director, SPERI) and Professor Daniel Mügge (former Lead Editor of Review of International Political Economy & Professor, University of Amsterdam). The list of all workshop participants can be found below. We are grateful to the University of Sheffield Faculty of Social Sciences, RIPE, NPE, and their publisher Taylor & Francis for supporting the workshop. On Monday 18th SPERI will debate the themes of the workshop with current, founding and past editors of RIPE and NPE in front of a large public audience at Sheffield Town Hall. Further information about the public event can be found here.